Soaring high like the sail of a huge masted Dhow, the futuristic tower of this spectacular hotel is a landmark as exclusive as it is unique. 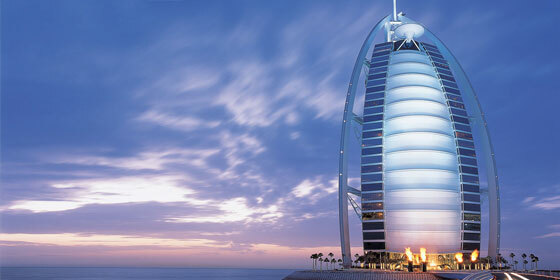 Burj Al Arab is the world's tallest hotel building. With its helipad on the 28th floor and a restaurant seemingly suspended in mid-air, this hotel has already become an icon on the Dubai skyline. 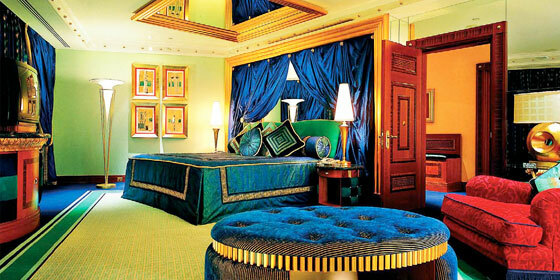 An all suite hotel, Burj Al Arab comprises 202 duplex accommodations. 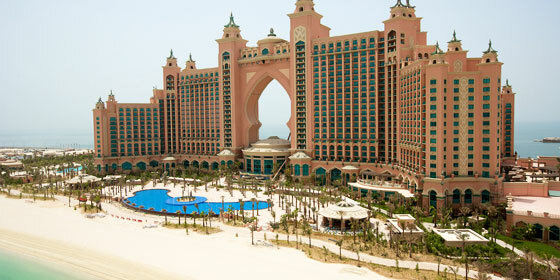 Atlantis, the Palm is a hotel resort at Palm Jumeirah in Dubai, United Arab Emirates. 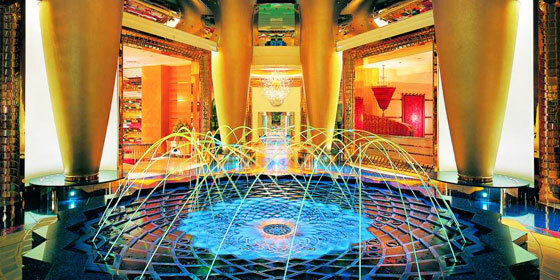 The resort consists of two towers linked by a bridge, with a total of 1,539 rooms. 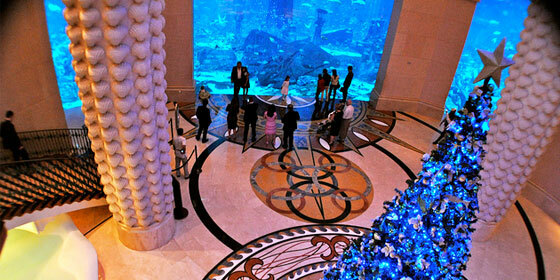 There are two monorail stations connecting the resort to the main section of the Palm Jumeirah islands. 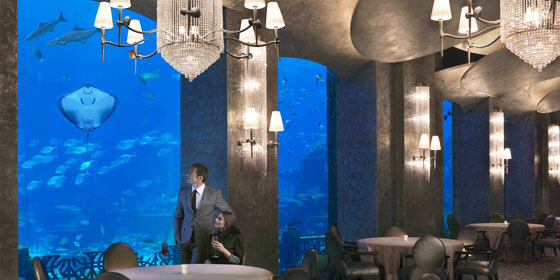 Location : Atlantis is located at crescent of The Palm, and is approx 30 minutes from Dubai International Airport. 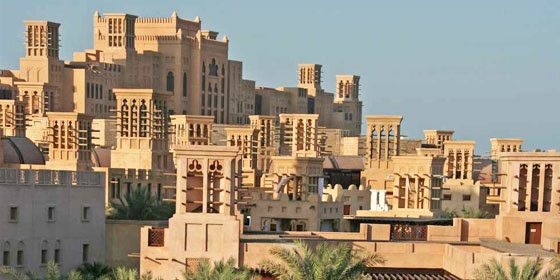 Madinat Jumeirah who also own the World's 7 star hotel Burj Al Arab, is a luxurious 5 star resort in Dubai and is also the largest resort in Dubai, spreading across over 40 hectares of landscapes and gardens. 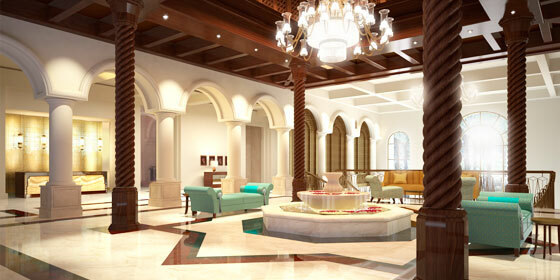 It is designed to resemble a traditional Arabian town. 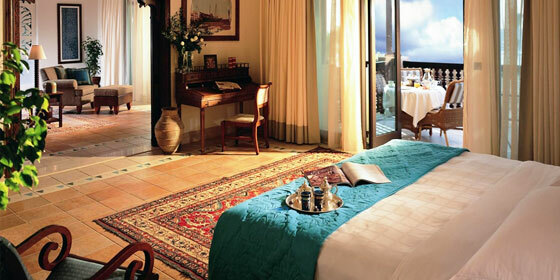 The resort comprises two boutique hotels (Al Qasr and Mina A'Salam) and a courtyard of summer houses called Dar Al Masyaf. 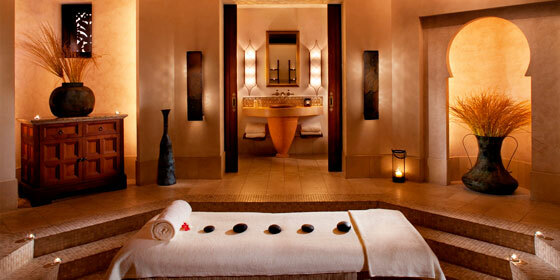 The resort has over 40 world class restaurants, and is said by many to be one of the most luxurious resorts there is. Location : Madinat Jumeirah is located along one kilometer of private beachfront adjacent to Jumeirah Beach Hotel, Burj Al Arab, and Wild Wadi Water Park. 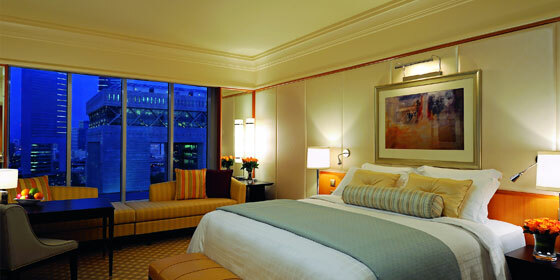 It is a half-hour drive from Dubai International Airport. 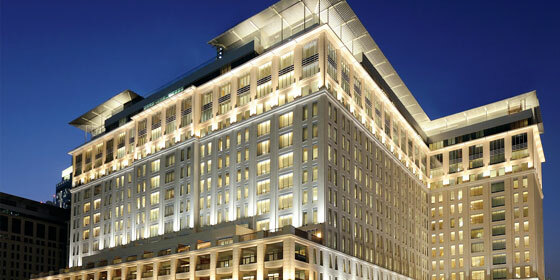 Discover The Ritz-Carlton, Dubai International Financial Centre – an opulent retreat in one of the world's foremost business and leisure destinations. 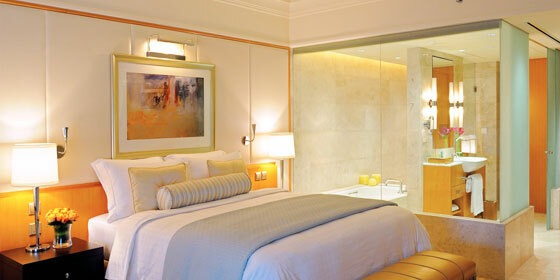 Set in a vibrant and exciting city, poised on the brink of becoming one of the world's foremost leisure and business destinations, The Ritz-Carlton, Dubai International Financial Centre offers a dynamic setting and opulent retreat for any traveler. Location : Located on 350 meters of prime, exclusive beachfront property, opposite Jumeriah Beach Residence on the Dubai Marina, 35km from Dubai International airport. 1 km from Dubai Media City. The Middle East is becoming an increasingly popular stopover destination for those travelling to The Indian Ocean, as well as being a fantastic destination in its own right. The Arabian delights of Dubai, long sandy beaches reaching down to the clear blue waters of the Arabian Gulf, superb shopping malls and souks, championship golf courses, spectacular desert and mountain landscapes - Dubai has become the ultimate tourist destination in the Middle East. 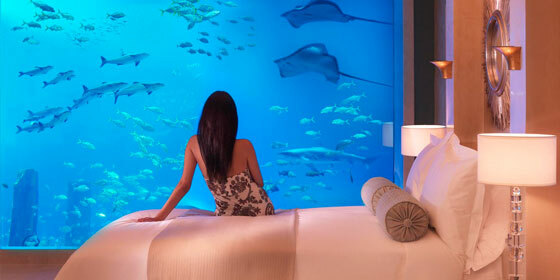 Dubai provides the perfect destination for a stopover on route to Mauritius, Seychelles or the Maldives.